2. 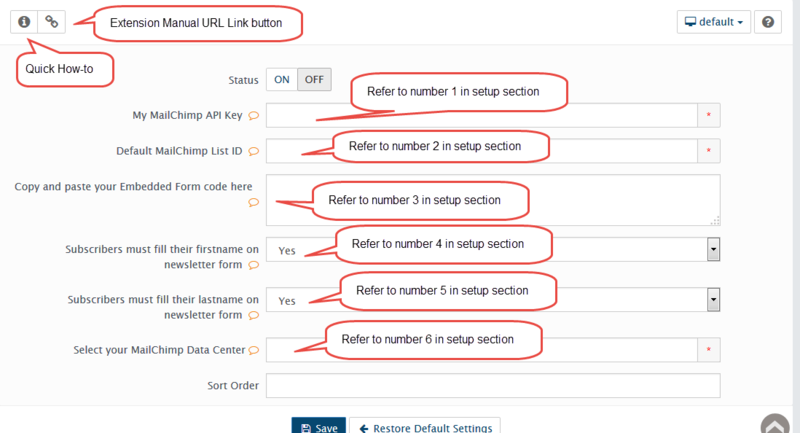 Keep synchronized between MailChimp List and Cart newsletter list. - If customer unsubscribes via email instead via cart user panel. 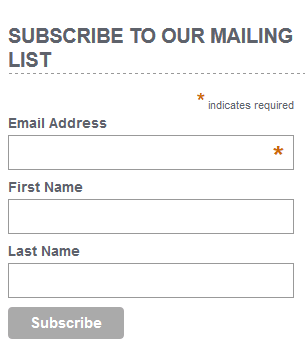 - Customer re-subscribes via email instead via cart signup form. 1. 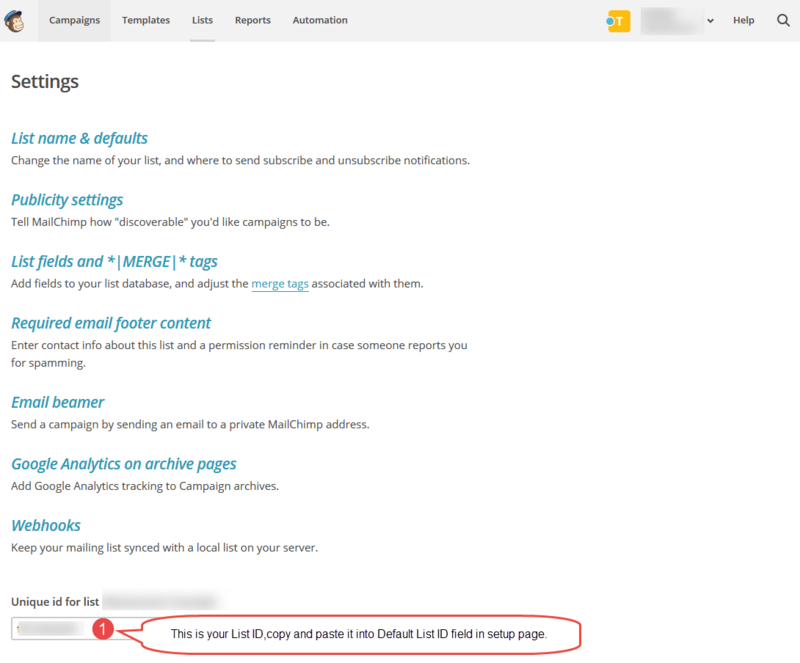 You need a MailChimp account to use this extension. A. If you don't have an account register new account on MailChimp. 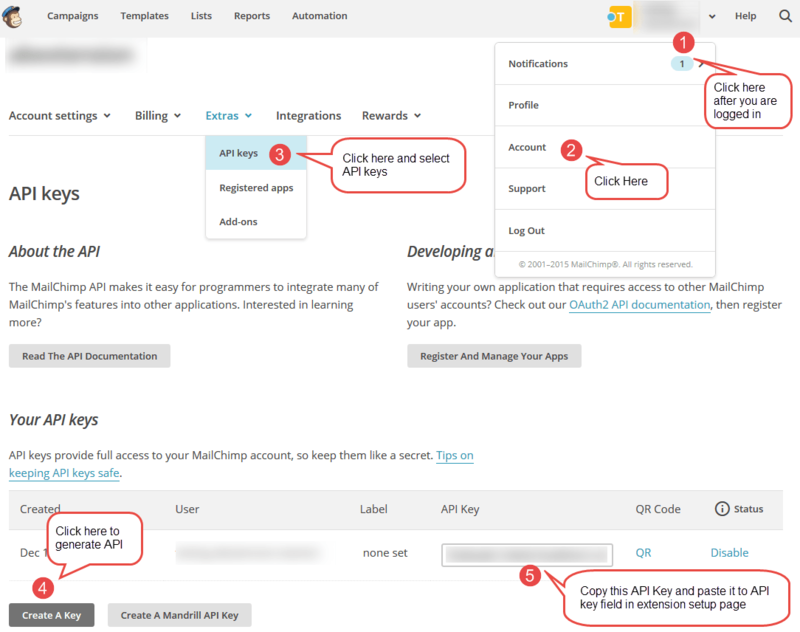 Click "Create A Key" button and copy "API Key" column of your key and paste to My MailChimp API Key field. 2. Input the desired Contact List ID you want subscribers added to. There are two different contact forms that can be used. You must use only one at a time. 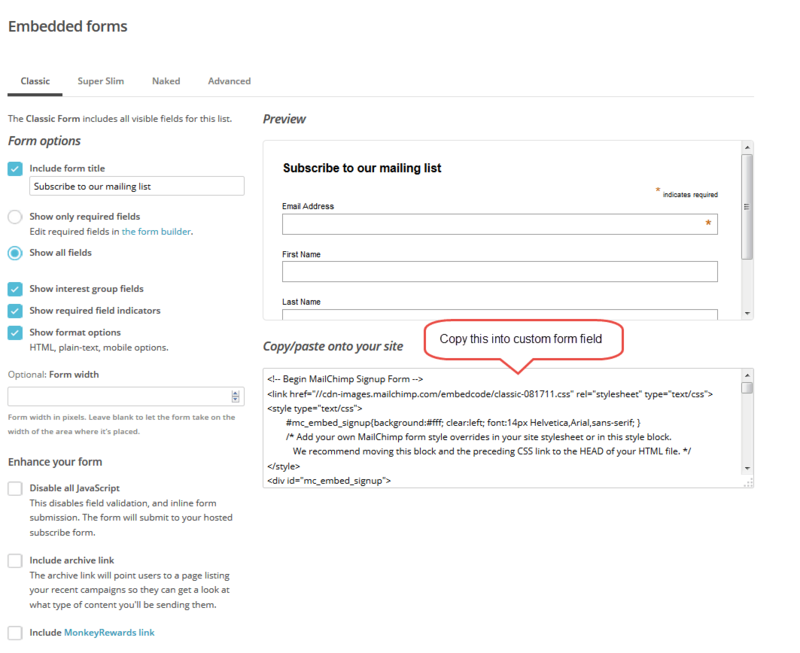 Use a form that is designed within your MailChimp account -- see No. 3 for details. 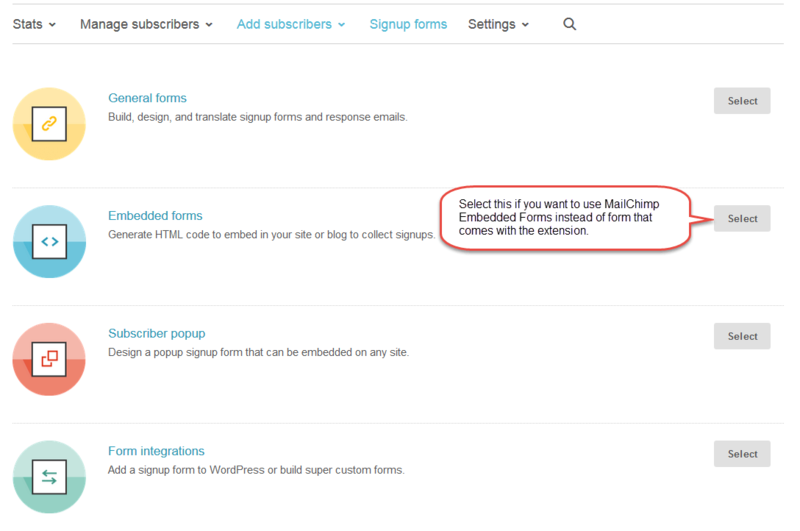 OR use an extension generated form following the instructions in No. 4 & 5 fields. You can change your choice at any time. 3. 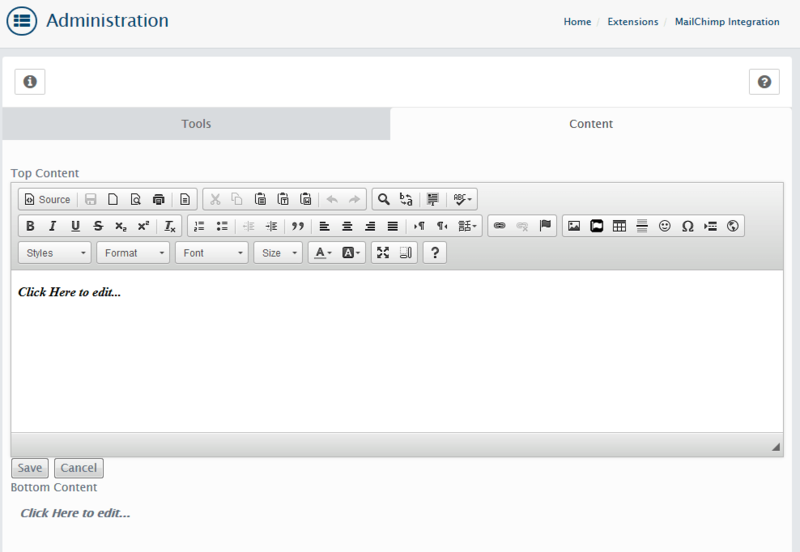 Fill this field with Share URL to form code which was obtained from MailChimp Sign up Form tools. 6. Choose the DataCenter that was assigned by MailChimp for your MailChimp Account and it is only used during first time import MailChimp List into Cart Newsletter List. It will automatically update your site customer list with their newsletter status upon someone subscribes via your signup form outside of site or someone unsubscribes. 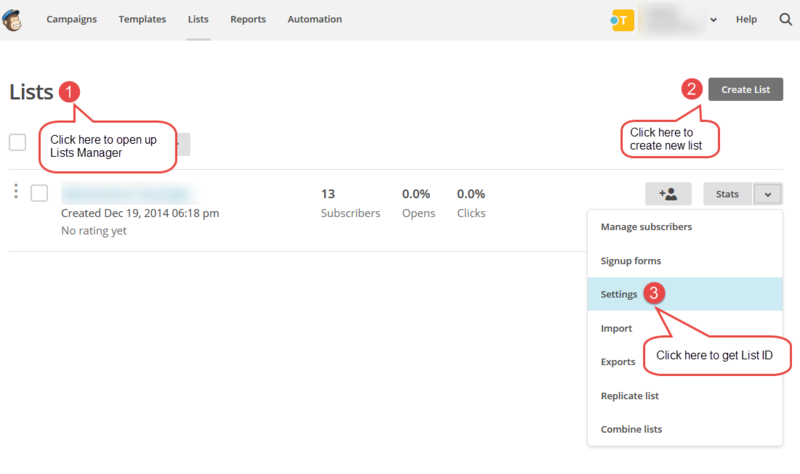 Click this button to export subscribed customers list to MailChimp List. 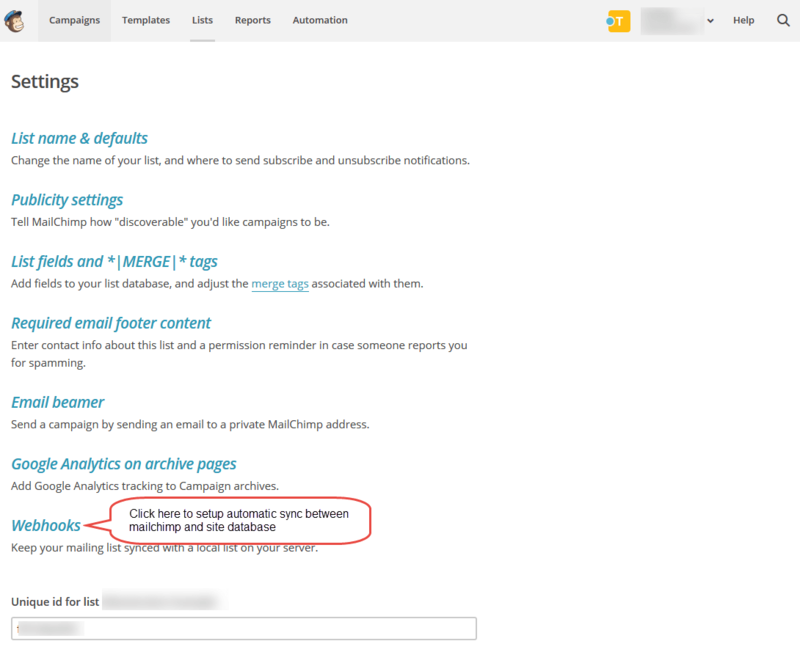 Click this button to import MailChimp List to cart newsletter list. 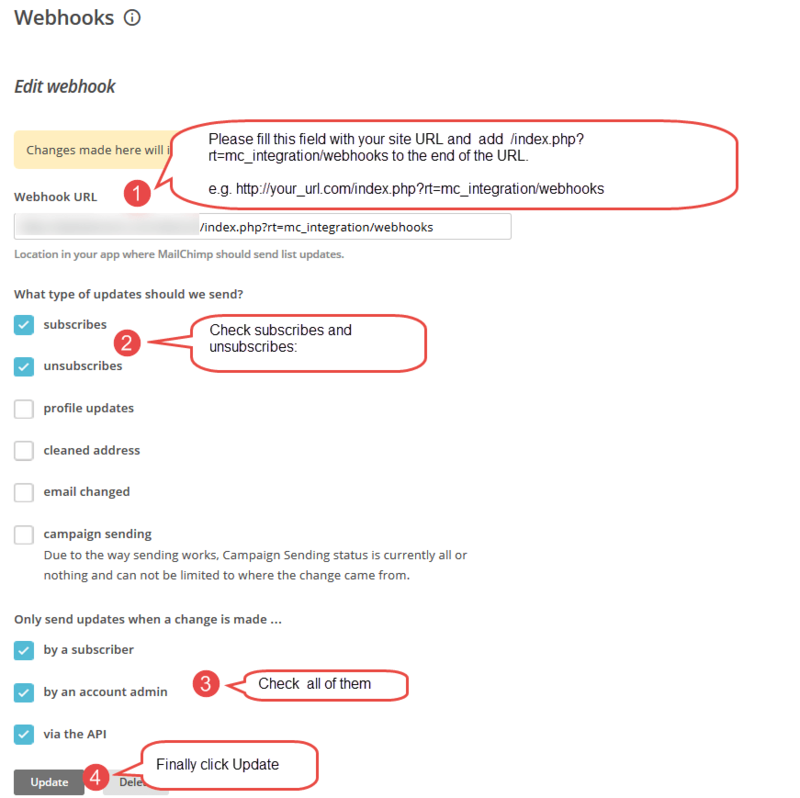 This is only needed if you are using MailChimp service before using Abantecart script and you want to import existing MailChimp list to cart newsletter list. 2. 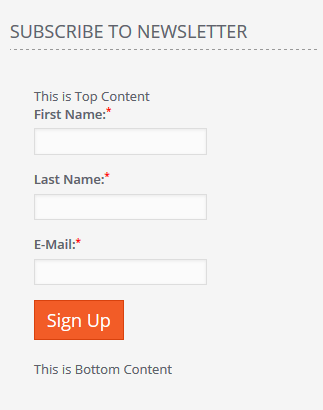 In case you previously inserted content above or below your signup form and you want to delete the content, make sure that the content is remove completely. You can click on the source button and remove completely. 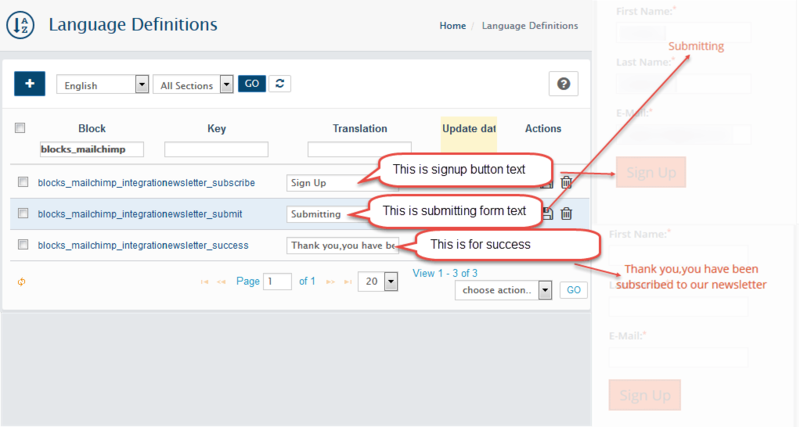 Go to Language Definitions under System->Localization to change the wording according to your desired text. Once again, thank you for purchasing MailChimp Extension.